From creating prototypes to full fledged enterprise apps, they've got a plan that's right for you. 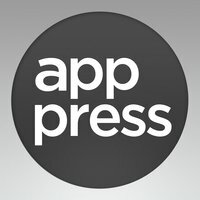 The Build plan gives you every feature of App Press for free. You don't pay until you're ready to publish, or you need custom development work from their team. Real-time solution offering: mobile analytics, push notifications, crash reports, user profiles, attribution tracking, and segmentation. Servers track Android, iOS and Windows Phone apps worldwide. Push notification service helps increase user loyalty and retention. With the help of real-time backend, can show which errors are trending in real-time, or which operating system(s) and versions has the most number of crashes, helping developer remedy issues before they hit your users. Plus referral analytics gives a summary of all acquisition sources and campaigns, e.g Facebook or Twitter. UX Archive aims to help people create the best user experiences possible for their apps. In the creative process of shaping such an experience, you need to explore what others have done to define what works, what doesn’t, and to observe patterns that you should or shouldn’t integrate in your app. UX Archive aims at helping designers in this process. We lay out the most interesting user flows so you can compare them, build your point of view and be inspired. Explore topics like adding, booking, consuming, creating, deleting, exploring, getting directions, logging in, moving, on-boarding, purchasing, receiving, recording, reporting, searching, sharing, signing up tagging, testing, translating, unlocking, uploading, and more.